As your subscriptions begin to scale to newer territories, you can show a deeper level of personalization. 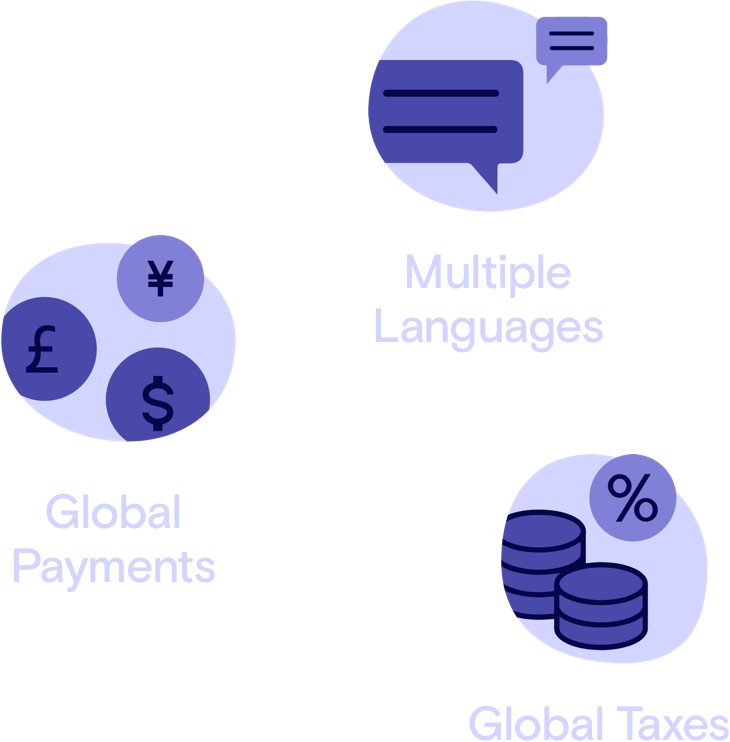 From global tax and data compliances to native currency and language support. Earn the trust of your customers. From any corner of the world. Language as an enabler. Not an impediment. Don’t let the limits of language limit how far you can sell. 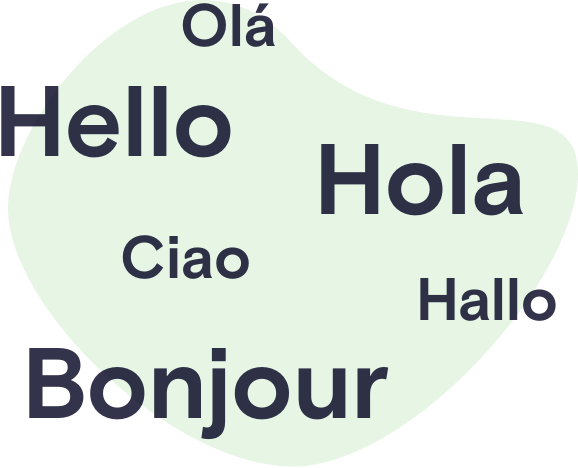 With Chargebee’s multi-lingual support, you can make your customers feel at home and communicate with them in Italian, Spanish, German, French, Portuguese and more, apart from English. How you price your product and how you let them pay impacts your customers’ perceptions, irrespective of where they are. Don’t simply get paid. Build lasting relationships. Buyers are hardwired to convert the price of a product or service into their native currency to see how much it is actually going to cost them. From the Australian Dollar to Euro, from Japanese Yen to Mexican Peso, Chargebee’s multi-currency support lets you get paid in 100+ native currencies from anywhere in the world. Chargebee supports a host of payment gateways with which you can get an account and start processing payments in no time. Boost your avenues of payment with Chargebee’s 30+ payment gateway integrations such as Stripe, Braintree, Authorize.net, GoCardless, PayPal, and more. Don’t let the lack of payment options limit your reach. Benefit from a plethora of global payment options, and break barriers to sell globally. Let your customers pay via cards, checks, direct debit, ACH, or even wallets. Chargebee supports Multiple Payment Methods. With a Backup Payment Method, if a payment method fails, Chargebee will try another. Facilitate global transactions at scale. Connect multiple accounts of the same payment gateway with the Smart Routing feature. You can configure rules for automatically picking a gateway account based on the payment method that the customer chooses and the currency of the transaction.  Don’t let global tax rules confuse your business. Put an end to messy tax compliance with Chargebee’s multiple tax profiles feature to automate EU VAT, AU & NZ GST, US/Canada Sales Tax, and everything in between. The configuration of taxes in Chargebee is provided at a product/service level.